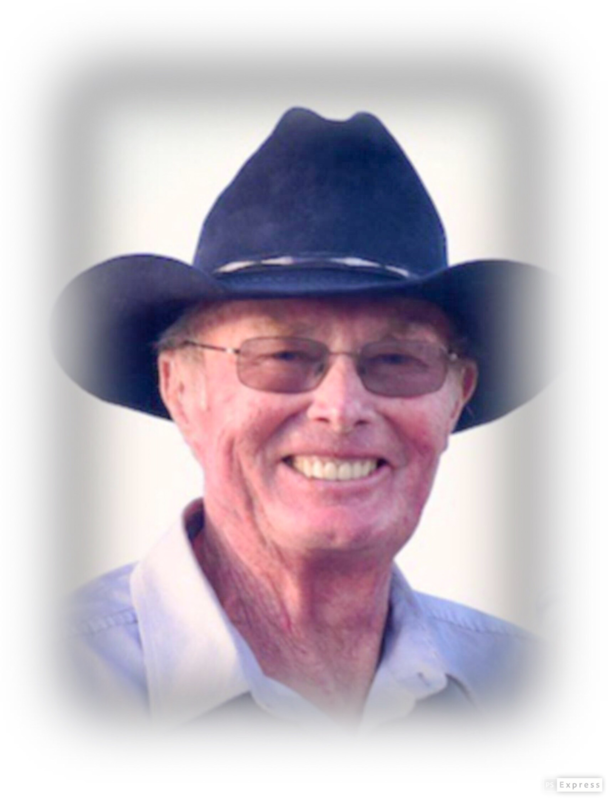 MALTA- Terry James Stiles 71, passed away March 17, 2019 at Peace Hospice in Great Falls, MT. of natural causes. Cremation has taken place. There will be a Private Mass at 4pm on March 29th – St. Mary’s Catholic Church, Malta. A Celebration of Life will be at 4pm on March 30th – Malta High School Auditorium followed by a Dinner in the Cafeteria there. We will end the day at the Tin Cup sharing memories and laughs – just as Terry would have wanted. Terry was born to Margaret and Harry “Bud” Stiles in Malta, MT. On May 1, 1947. He attended Bowdoin County School through 8th grade. He graduated from Malta High in 1965 and went on to attain a degree in Chemistry and Physics from MSU Billings. Terry was an Inventor, a Rancher and seemingly skilled at most things. Terry loved life. He loved spending time with friends and family, fishing, golfing, hunting, and just about anything that involved going to the Missouri Breaks. The memories are endless. Zack, Mike, Del, RJ, Don, Gary, Monte, Dave, Stormy, Terry, Craig, Jim, and so many others spent time with Terry fishing on Nelson reservoir, tracking a trophy elk in the Breaks, trading jokes and laughs over a campfire, or counting a scorecard at the Tin Cup. He especially loved his brother from another mother, Jack and his dear friend Emmett. Terry loved his wife Marlys (Hofschulte) often calling her "the woman of his dreams." They met at Mayo Clinic in Rochester, MN where they were working after college. Through it all, there wasn’t a day during their 46-year marriage that he didn’t say, “I love you honey.” If you knew him – you knew his love for her. Terry was a patient, loving and dedicated father. He moved Hailie 4 times in 5 years, hunted elk with Trevor in the Breaks for days (and even managed to lose him for a night). He held Amberly for hours in the tractor as they yodeled songs together. The only time the kids remember trying Terry’s patience was during a road trip to Minnesota when Hailie and Amberly’s hours of fighting resulted in the family’s Dodge Caravan pulling to the side of a road for a quick spanking—but they deserved it. The family was completed when Crystal came into their lives. Terry was so proud of his children and grandchildren he bragged to anyone who would listen. He bragged about Crystal’s independent spirit and self-made success. He bragged about Trevor’s carpentry skills and about how he overcame incredible adversity. He bragged about Hailie’s dedication to the family and her natural abilities as a mother. Terry bragged about Amberly’s music and the songs she wrote about him. Big Blue Truck was his favorite. When grandkids came along he had more to brag about. He bragged about Tasha’s entrepreneurship. He bragged about Teela’s resilience, grit, and independence. He bragged about Kanyon’s natural hunting abilities and his big heart. He was convinced that Trooper is in line to be the next great Stiles athlete. Ivy has Terry’s smile, which will light up a room, and Wynston has his caring nature. His great-grandson Leo is the firstborn of the next generation. One of Terry’s greatest joys was watching his nieces and nephews excel in sports - and life. He never stopped bragging about them either. Terry’s life reminds us that our relationships are the most important part of life. He reminds us that we are not measured by the amount of money that we made, the property we owned, or the number of things that we acquired. Terry was a kind man with a huge heart. He would plow the neighbor’s driveway after a snow storm, he played cards with friends after they had surgery, or he would drink coffee with a stranger at the airport. Terry would give away pheasant and deer meat to people in need. He would take new hunters to the Breaks to shoot their first elk, organize sledding parties for kids and families, play tour guide when friends came to town, and he loved to bring people together over a game of cribbage or cards and some prime rib. Terry’s legacy reminds us to be kind to one another and to bring joy to others - family, friends and strangers alike. Terry was stubborn as hell. He learned that he had colon cancer on Thanksgiving 2013. The prognosis was bad and doctors didn’t give him a lot of time. But, the doctors, nor the cancer, understood who they were dealing with. This is the man who survived being run over by a Jeep in the Army, nearly died in the Breaks (a couple different times that we know about), survived emergency surgery for diverticulitis, and walked Amberly down the aisle 3 months after a near death branding accident spilt his pelvis in two. Let’s just say, it’s not in Terry’s nature to go down without a fight, and a fight it was. He endured 116 (yes, 116) rounds of chemo. He battled cancer every day by doing the things that defined him. He didn’t stop hunting. He didn’t stop fishing or enjoying a glass of whiskey. And, he definitely didn’t stop golfing. Terry did it all with grace and a smile on his face. He never lost hope. Not once. He was our real life Superhero. Terry’s life reminds us to keep fighting, no matter what. He reminds us to keep doing the things that we love, especially when it becomes hard to do them. Never lose your smile. Tell a joke. And, for God's sake, enjoy some whiskey. He wouldn’t have done anything different and we all are better for it. He is survived by his wife, Marlys and their children Crystal (Lars), Trevor (Mandy), Hailie (Matt) and Amberly (Kit). Grandchildren Nastasha, Teela, Kanyon, Trooper, Wynston, Ivy, Leo, Gage, Gabby and Gemma. He has numerous Brothers, Sisters, In-Laws, Nieces and Nephews. Memorials can be sent to: Gift of Life Housing Benefis Foundation P.O. Box 7008, Great Falls, MT 59406 or the Stiles Family 7400 Kid Curry Rd., Malta, MT 59538. I find this article on Terry so fitting. What an inspiration you are to all of us! I have so many good memories of spending time with Terry and Marlys. When you came to Port Ludow to play golf, and meeting with you at Bellevue Square for lunch. I will forever treasure your Christmas card from last year with Terry and all of his loved family members. Rest in peace dear friend Terry! Condolences to Del Stiles and to all of your families, from Ed & Sarah Ostlund. I was not that well, personally, acquainted with Terry, but he was of particular interest after he bought the old Mike O'Neil Place from Frank Beebe, much later than I finished growing up on the next place East. That stretch of old Milk River was sure interesting to this old prairie kid from White Water! Especially the hunting and trapping and horse riding. (We moved there when I was 10). I bet he enjoyed it as well. I am sure sorry that he had to endure that mean illness. Bye Bye Terry. Enjoy the next adventure. We had a lot of good times, and you always treated me like a brother. I will never forget, pushing cows, irrigating alfalfa, pouring more cement than i would like to remember, and battling the monster mosquitoes of Phillips County with you. It will be forever etched in my memory our fun times erasing each others initials and hand prints in the fresh cement. I could go with many great memories, you will be missed by many, my condolences to Marlys and your entire family. Happy Trails brother. "Wild Cherry"